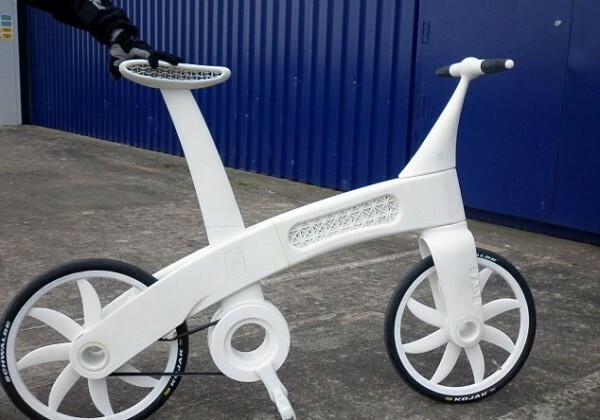 This bicycle is the first in the world to be created simply by printing it out on a computer, using groundbreaking new technology. 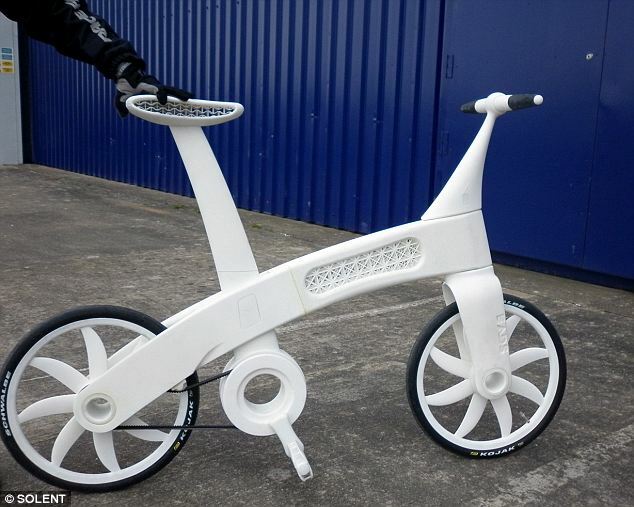 The fully-working cycle, which is made of nylon, is the result of an extraordinary project and is as strong as steel and aluminium but weighs 65 per cent less. 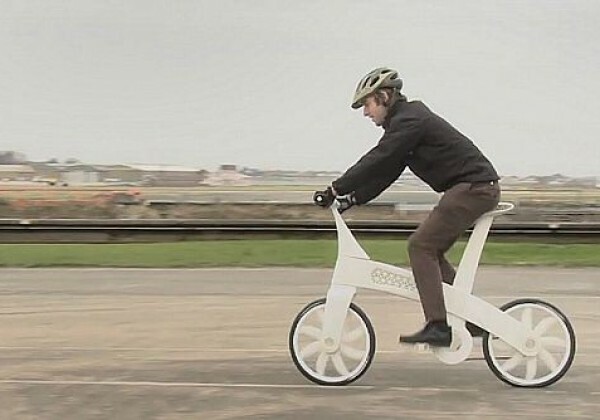 Scientists in Bristol designed the bike on a computer and sent it to a printer, which placed layers of melted nylon powder on top of each other to build-up the machine. 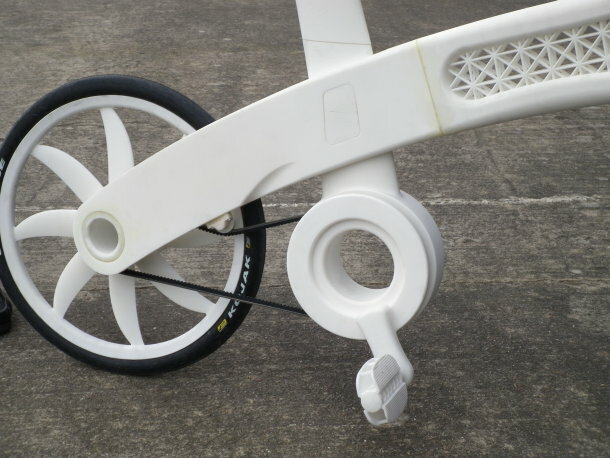 Individual components such as gears, pedals and wheels are usually made in different factories and assembled into a finished bike but the Airbike is a single, complete part. 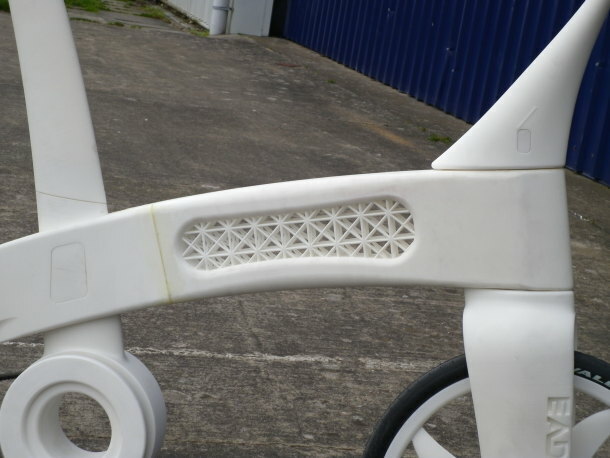 The wheels, bearings and axle are incorporated into the 'growing' process, known as Additive Layer Manufacturing. 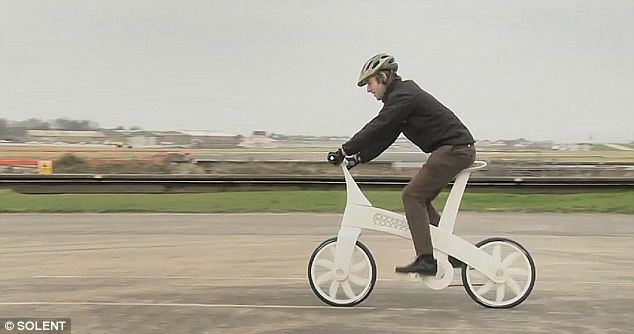 The Airbike can be built to the rider's own specification so requires no adjustment. It also requires no conventional maintenance or assembly. 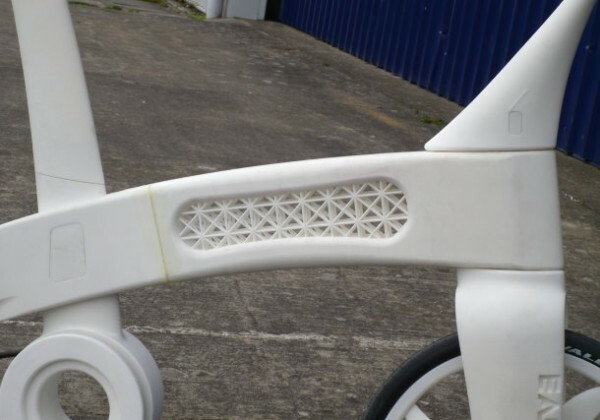 It is made by the European Aeronautic Defence and Space group in Filton, near Bristol, The 3D printing method allows products to be made from a fine powder of nylon, carbon-reinforced plastics or metals such as titanium, stainless steel or aluminium. They are drawn using computer-aided design and then sent to a printer, which is filled with the powdered material. A computer splits the 3D design into many 2D layers and a laser beam is used to melt the powder material into the first of the layers. This is then covered by a new layer of powder and the process is repeated with the next 'slice'. 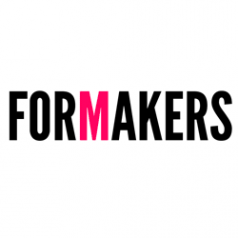 The manufacturing process uses about one-tenth of the material required in traditional methods, reducing waste. The technology is likely to be used in industrial applications such as aerospace, the motor industry and engineering. Lead engineer Andy Hawkins said: 'The possibilities with ALM are huge - it's a game-changing technology. 'The beauty is that complex designs do not cost any extra to produce. The laser can draw any shape you like. 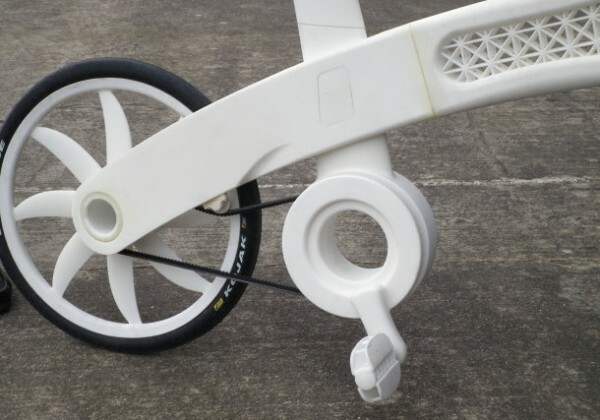 'Many unique design features have been incorporated into the Airbike, such as saddle cushioning or the integrated bearings encased within the hubs.' Robin Southwell, chief executive of EADS UK, said: 'The Airbike is a fantastic example of British innovation at its very best. 'The team at EADS in Bristol includes world-class engineers who continue to push boundaries by working at the forefront of technology. '.